ARCHAEOLOGY combines worldwide archaeological findings with photography, specially rendered maps, drawings, and charts. 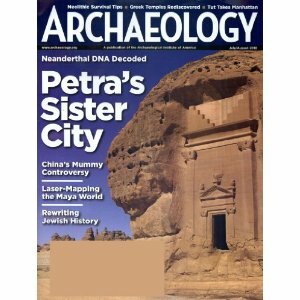 Articles cover current excavations, recent discoveries, and special studies of ancient cultures. Regular features: Timelines, news briefs, film and book reviews, current museum exhibits, The Forum. Two annual Travel Guides give trip planning information.